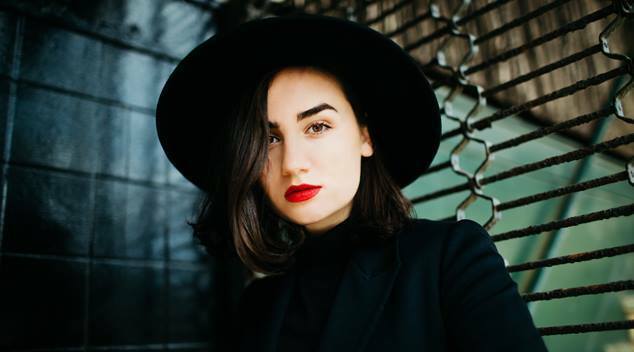 Meg Mac got everyone’s attention when she won Triple J’s Unearthed competition in 2014, but she’s taken her time recording her debut album Low Blows. The singer-songwriter told out in Perth she can’t wait for fans to hear her new record. Chatting over a drink at The Brisbane Hotel while on a recent promotional tour to Perth, Meg told us that when it came to record the album she was eager to get into the studio and lay down the tracks but for her the end game is not the release of the record, but getting to perform new tunes in front of a live audience. “I spent most of last year making the album, it was just a whole year of not doing shows” Meg lamented. “I think the show is the better version of the album, all these songs were made to be sung and performed live.” Meg declared enthusiastically. The singer told us that her writing process always begins at the piano and she works on her compositions for a long time before she feels confident to share them with others. Making the album in Texas with Austin Jenkins and Josh Block from the band White Denim was something that Meg said had a big effect on the final products bluesy sound. “I think making in Texas had a massive effect on its sound. The reason I went there is because I heard the Leon Bridges album, and I loved that. I ended up flying into Dallas and we tried out one song for one day and ended up doing it all live in one take. I’d never heard my voice sound so real and so live.” Meg said. Meg said the experience convinced her that Jenkins and Block were the right collaborators for the record, so soon they reconvened in their studio in Fort Worth. The intimate studio setting was the perfect set-up for Meg to make the record and give it a distinctive warm sound. “We were trying to get a sound which is like you’d just dropped over to my house and I’m just singing to you, we wanted the audience to feel they were like part of it.” Meg said. Meg Mac is playing four shows at The Rosemount Hotel this October. Tickets are still available for her fourth show on Thursday October 12. We also have FIVE copies of her new album Low Blows to give away! Enter here.